NEW YORK – ServiceChannel, the leading SaaS platform and vertical marketplace for facilities management, announced a $54 million growth financing round led by Accel, a leading early and growth-stage venture capital firm. This new funding will be used to help the company accelerate the transformation of an $85 billion facilities and contractor management market to a more modern, data-driven and automated approach. “We are thrilled to be working with Accel to accelerate our exciting product roadmap and fully realize our mission to provide greater visibility, transparency, intelligence and automation to facilities managers and commercial contractors around the world,” said Tom Buiocchi, ServiceChannel CEO. “Accel has backed category-defining software leaders including Atlassian, Qualtrics, Slack, Cloudera and Checkr, as well as consumer internet businesses such as Facebook, Supercell, Flipkart, Jet and Etsy. Above all, they truly appreciate how modern software can deliver unprecedented benefits and insights to our customers and service provider partners.” For more information please see full press release. LIVE! from the ServiceChannel studio on Thursday, June 1 at 1:00 PM EST. 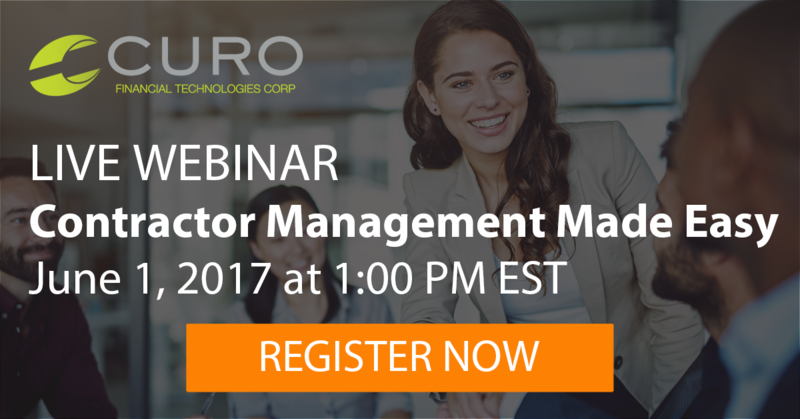 Learn best practices, tips, and tricks from CURO Financial Technologies Corp, a leading short-term consumer lending company with operations in the US, Canada and England technology platform for short-term lending. Learn the secrets to how it manages its third parties performing repair and maintenance across hundreds of locations. To better enhance our newsletters for you, we will be taking the month of July off. NewsChannel will be distributed in June and return in August.